SQL Server mirroring support is a welcome addition to SharePoint 2010. Although SharePoint 2010 makes use of the Failover Partner keyword in its connection strings, SharePoint itself doesn’t appear to know whether or not SQL Server has failed-over for any given database. This post explores this topic in more depth and provides a PowerShell script to dump a farm’s mirroring configuration. This is a post I’ve been meaning to write for some time, but I’m only now getting around to it. It’s a quick one, and it’s intended to share a couple of observations and a script that may be of use to those of you who are SharePoint 2010 administrators. 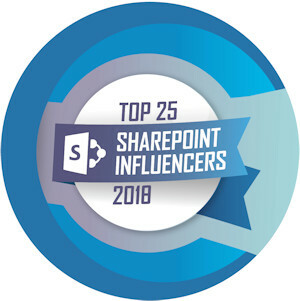 The use of SQL Server mirroring isn’t something that’s unique to SharePoint, and it was possible to leverage mirroring with SharePoint 2007 … though I tended to steer people away from trying it unless they had a very specific reason for doing so and no other approach would work. There were simply too many hoops you needed to jump through in order to get mirroring to work with SharePoint 2007, primarily because SharePoint 2007 wasn’t mirroring-aware. Even if you got it working, it was … finicky. SharePoint 2010, on the other hand, is fully mirroring-aware through the use of the Failover Partner keyword in connection strings used by SharePoint to connect to its databases. There are plenty of blog posts, articles (like this one from TechNet), and books (like the SharePoint 2010 Disaster Recovery Guide that John Ferringer and I wrote) that talk about how to configure mirroring. It’s not particularly tough to do, and it can really help you in situations where you need a SQL Server-based high availability and/or remote redundancy solution for SharePoint databases. This isn’t a blog post about setting up mirroring; rather, it’s a post to share some of what I’ve learned (or think I’ve learned) and related “ah-ha” moments when it comes to mirroring. 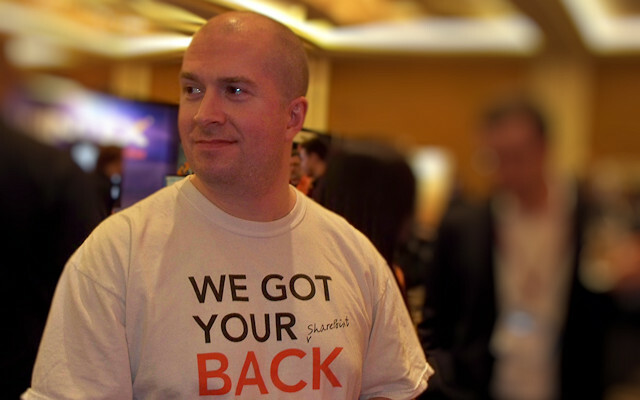 This all started when Jay Strickland (one of the Quality Assurance (QA) folks on my team at Idera) ran into some problems with one of our SharePoint 2010 farms that was used for QA purposes. The farm contained two SQL Server instances, and the database instances were setup such that the databases on the second instance mirrored the databases on the first (principal) instance. Jay had configured SharePoint’s service applications and Web applications for mirroring, so all was good. Is there any way to tell (from within SharePoint) which SQL Server instance is in-use by SharePoint at any given time for a database that is being mirrored? It seemed like a simple question that should have a simple answer, but I was at a loss to give Jay anything usable off the top of my head. I told Jay that I’d get back to him and started doing some digging. What I thought I would find (but didn’t) was one or more properties and/or methods that would allow me to determine which SQL Server instance was serving as the active connection point for SharePoint requests. In fact, the more digging that I did, the more that it appeared that SharePoint had no real knowledge of where it was actually connecting to for data in mirrored setups. It was easy enough to specify which database instances should be used for mirroring configurations, but there didn’t appear to be any way to determine (from within SharePoint) if the principal was in-use or if failover to the mirrored instance had taken place. SharePoint supplies a connection string that tells the native client which SQL Server instances (as Data Source and Failover Partner) should be used as part of a mirroring configuration. It’s the SQL Server Native Client that actually determines where connections are made, and the results of the Client’s decisions don’t directly surface through SharePoint. Number 3 was the point that I kept getting stuck on. I knew that it was possible to go into SQL Server Management Studio or use SQL Server’s Management Objects (SMO) directly to gain more insight around a mirroring configuration and what was happening in real-time, but I thought that SharePoint must surely surface that information in some form. I hate when I can’t nail down a definitive answer. Despite all my reading, I wanted to bounce the conclusions I was drawing off of a few people to make sure I wasn’t missing something obvious (or hidden) with my interpretation. I shot Bill Baer (Senior Technical Product Manager for SharePoint and an MCM) a note with my question about information surfacing through SharePoint. If anyone could have given me a definitive answer, it would have been him. Unfortunately, I didn’t hear back from him. In his defense, he’s pretty doggone busy. I put a shout out on Twitter, and I did hear back from my good friend Todd Klindt. While he couldn’t claim with absolute certainty that my understanding was on the mark, he did indicate that my understanding was in-line with everything he’d read and conclusions he had drawn. I turned to Enrique Lima, another good friend and SQL Server MCM, with my question. Enrique confirmed that SQL SMO would provide some answers, but he didn’t have additional thoughts on how that information might surface through SharePoint. In the end, I wasn’t really able to give Jay much help with the QA farm that he was trying to diagnose. Since I couldn’t determine where SharePoint was pointing from within SharePoint itself, I did the next best thing: I threw together a PowerShell script that would dump the (mirroring) configuration for each database in the SharePoint farm. Examines each of the databases in the SharePoint environment to identify which have failover partners and which don't. # Make sure we have the required SharePoint snap-in loaded. The script itself isn’t rocket science, but it did actually prove helpful in identifying some databases that had apparently “lost” their failover partners.